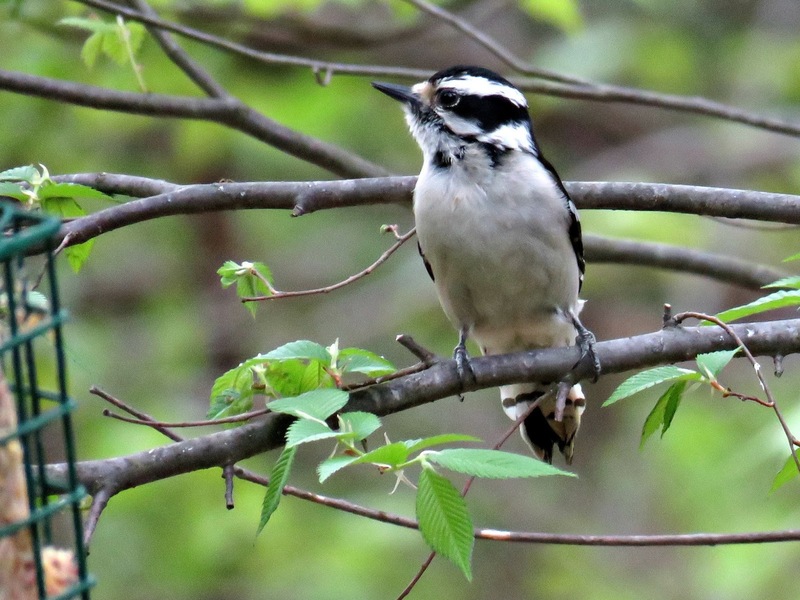 The downy woodpecker is widespread and the smallest of all woodpeckers. Just put out some suet, and you can pretty much guarantee they will stop by. And while these birds are definitely considered fairly common, I enjoy them very much when they visit! This woodpecker is often confused with the hairy woodpecker, because they look incredibly similar. But the hairy is a bit bigger, and has a longer beak (in proportion to its head) than the downy. See the larger beak here? 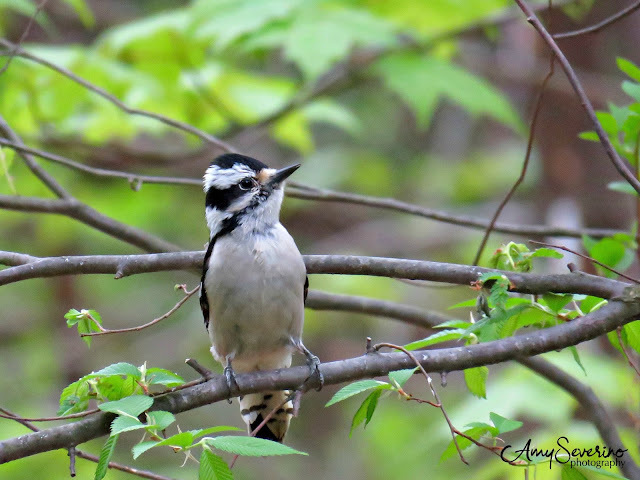 I see downy woodpeckers frequently at home, but also in swamps and in the forest! For today's earrings, I made a pair of peyote bezeled rivolis. Whenever I am in a pinch, this simple style is a perfect 'go-to' design. These are made with clear rivolis and my favorite pink shade of Delica beads! Don't forget, anyone who comments during the A-Z challenge will be entered to win seven pairs of earrings! I hope you will join me tomorrow for the letter "E". I really like woodpeckers. Your photos are beautiful. Thank you Rosalita! Be sure to stop by on the 18th when I'll be writing about another woodpecker species and their nest I stumbled upon last year. Thx for stopping by and for the tweet. Oh what a cute name for a nursery!!! Thanks for stopping by! And if you love woodpeckers, be sure to stop by on the 18th because I will be writing about another woodpecker species that day! I have never heard them when in the house, but I have heard that some woodpeckers will hammer on the house! Beautiful photos, and earrings! Lovely! 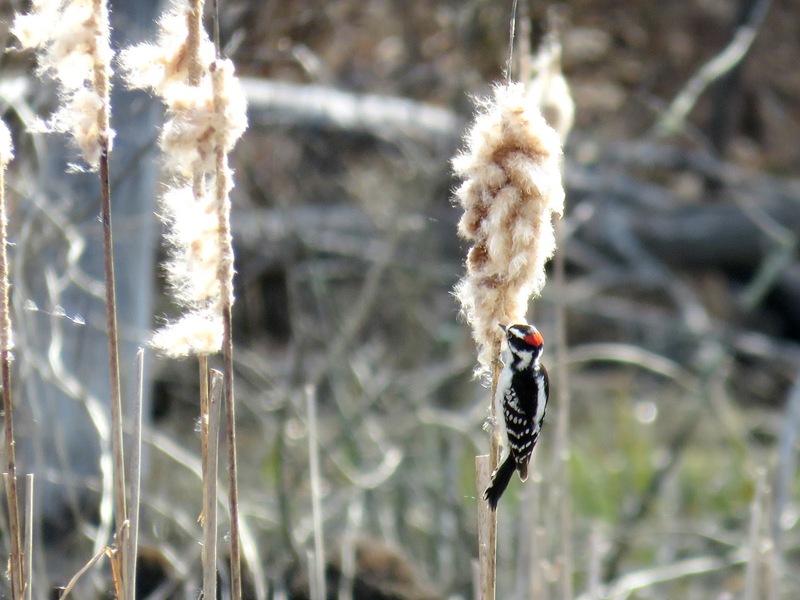 Birds were my Grandma's favorite, but woodpeckers were probably one of the top ones! That is so fun about your Grandma! I'll be posting about woodpeckers again on the 18th for the letter P! Another bird I'm not sure we see much of down here. Though, I could be mistaken. Hahah! 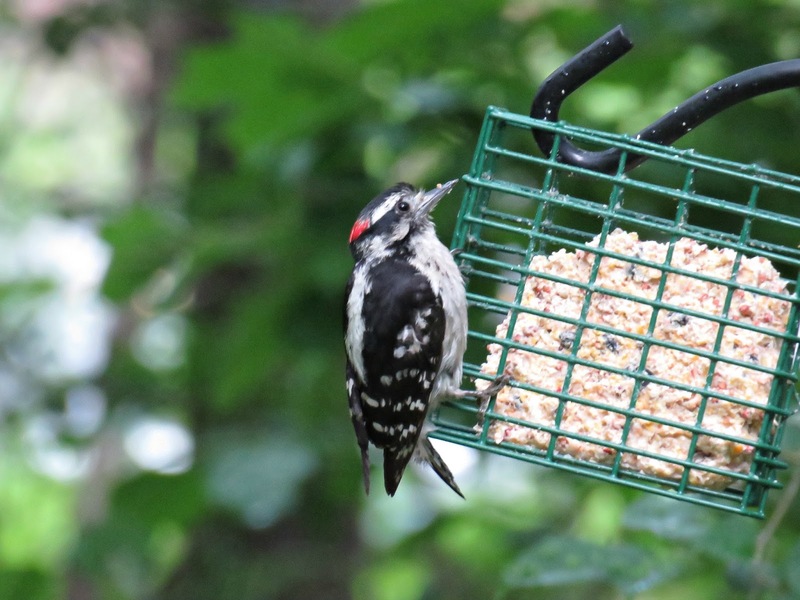 Put up a suet in a suet cage and you'll see them for sure. I'd bet on it! Love your bird pictures! And these earrings are so nice! I have several rivolis to use up and this is a great idea! Thanks Terri! And yes, you should bezel some rivolis, it's a simple technique, but the results are lovely! 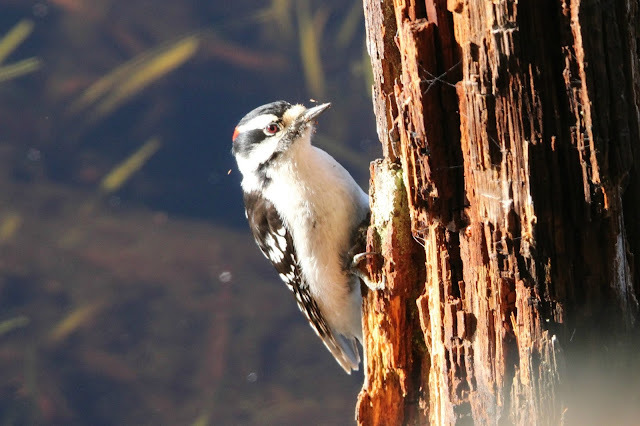 One time, I was sound asleep at my vacation cottage on the Cape, and a woodpecker decided to peck away at the roof line of my house... instead of hitting wood, he was hitting something under the shingles. I thought somebody was jackhammering the house! LOL! I ran outside in my pajamas. It took me a while to figure out it was a woodpecker. He was very persistent, and kept trying for like an hour before he flew away and pecked at a tree instead. The downy...he visits every day and Sunshine Girl is just as thrilled to see him as she was the first time she saw him! I admire people who work easily with rivolis. Yours are so soft and sparkly beauties. What a cute little guy. And your photos are amazing!